Due to the high starting point on the back plate, the V2 Plus carrying system offers a wide range of variability when adjusting the back length. 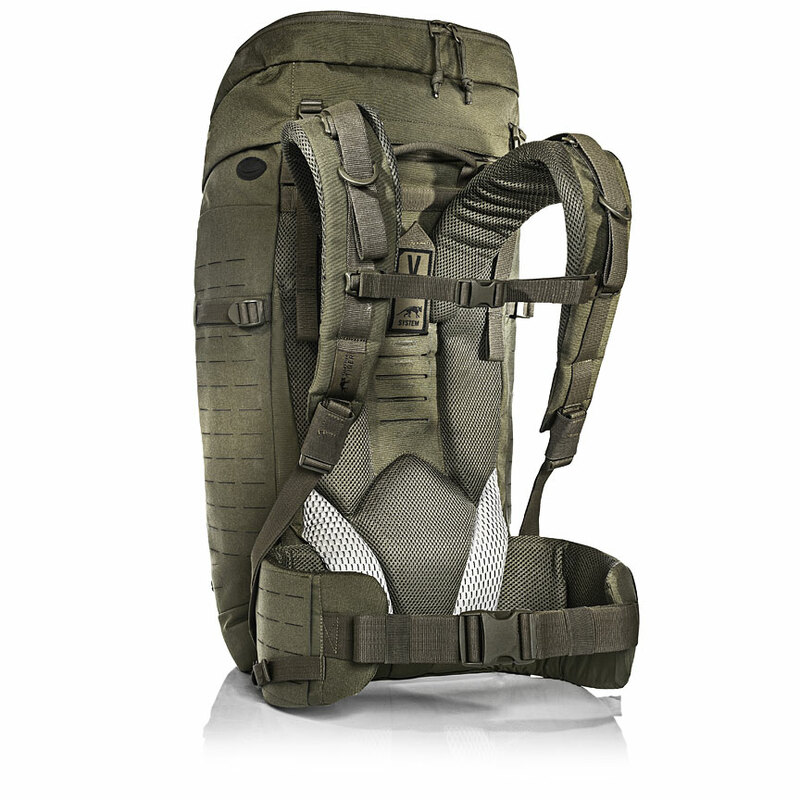 With the removable hip belt, this backpack can also be carried with fully loaded vests and chest rigs. The hip belt can also be used as a Warrior Belt. With its strictly modular design, the TT Modular Pack 45 Plus allows you a massive amount of options for how you want to use it. The lid and front pocket are removable while the inner walls of the backpack feature hook and loop patches for customized configurations. Three attached accessory pouches and an attached weapon holster are included in the package. 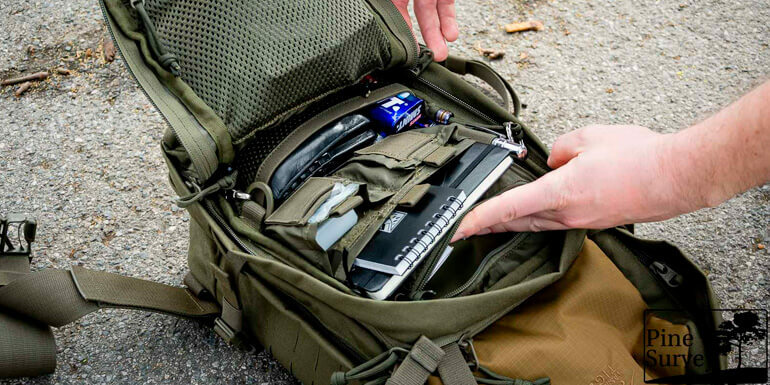 The entire front panel opens, offering you quick and easy access to all of your important gear. You can open the whole main compartment of the backpack to easily configure the inside and clearly organize all your modules and components. The inner walls of the main compartment have attachment options made of hook and loop or MOLLE. The front pocket has generous expandable folds to hold your helmet. If you don’t need it, just remove it. 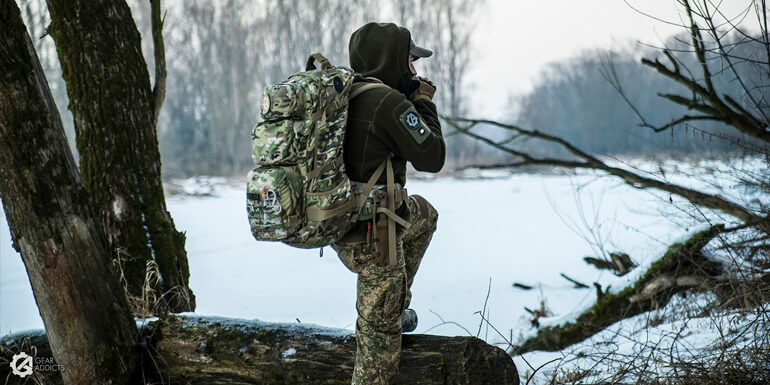 The backpack’s padded hip belt is removable and with a laser-cut MOLLE design it can be used separately as a Warrior Belt.